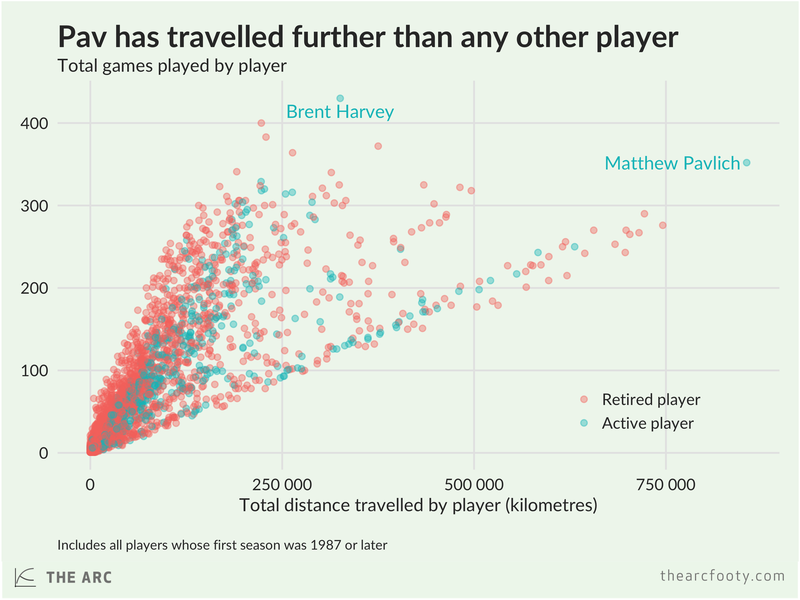 In his 430 games, Brent Harvey travelled 325 563 kilometres, nearly enough to make it from Earth to the moon. That’s quite a lot, but Matthew Pavlich has travelled twice as far in 352 games – around 855 211 kilometres. That’s far more than any player in AFL/VFL history. 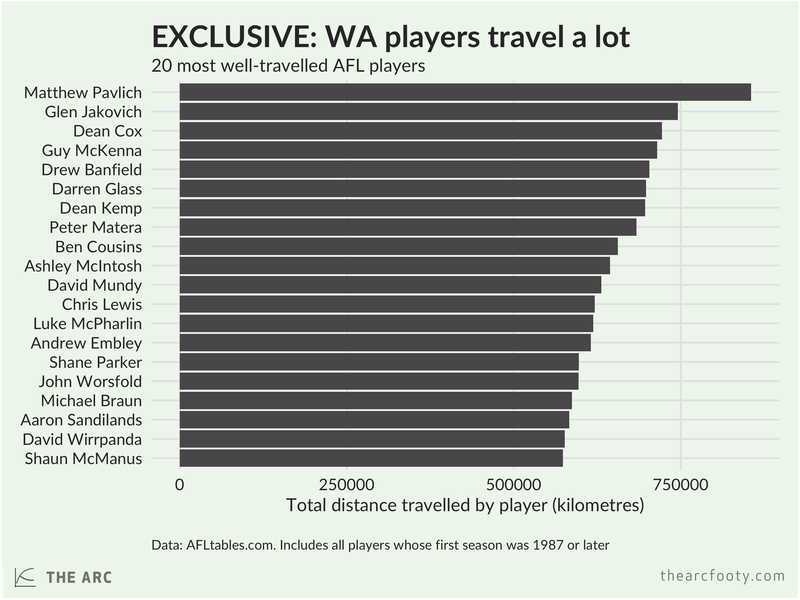 The list of most-travelled players is, as you’d expect, dominated by WA players, with Glen Jakovich coming in second at nearly three-quarters of a million kilometres. When you look at the punishing travel schedule of the WA-based teams, it’s perhaps not surprising that only one WA-based player (Pavlich) has managed to play 300 games. Note: I calculated distances between the GPOs of each city.